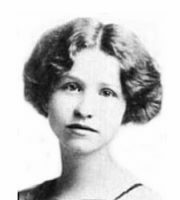 Read best Edna St. Vincent Millay poems. Millay was an American lyrical poet and playwright best known for her poem "Renascence". She wrote some of the best sonnets of the century. Here are some of her famous poems ever. She received the Pulitzer Prize for Poetry in 1923.